Harrogate is a pleasant spa town to the south-east of the Yorkshire Dales. It is one of the most spectacular areas of England with attractive villages and towns, imposing abbeys, castles, historical houses, magnificent countryside and a host of other natural and man-made attractions. It is famous for its flower shows, tea shops, antique shops, Turkish baths and the International Conference Centre. The town has a range of entertainment and leisure venues to choose from and, as such, boasts a vibrant night and day life. Several cheap b&bs in Harrogate city centre, guest houses with family rooms, are top class which reflects its affluent and well-heeled atmosphere on the door step waiting to be explored. The town is an experience for everyone and is the ideal place for a family holiday or a short break. Why travel to Harrogate ? 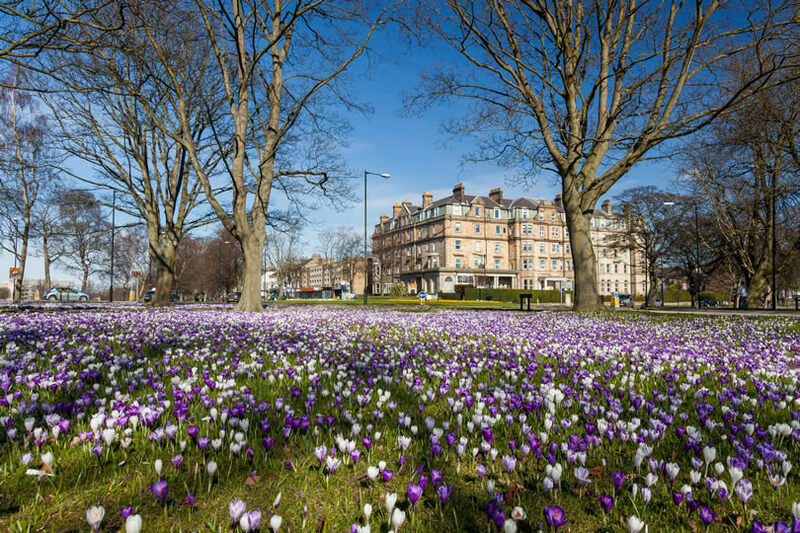 Harrogate is a town with many immaculate gardens, and the newly re-furbished Turkish baths, Royal Hall and swimming pool. There is a very varied selection of bars and excellent restaurants, and a bustling nightlife. This spa town is also very close to the picturesque city of York and the busy city of Leeds. There is a regular bus and train service to both these cities. 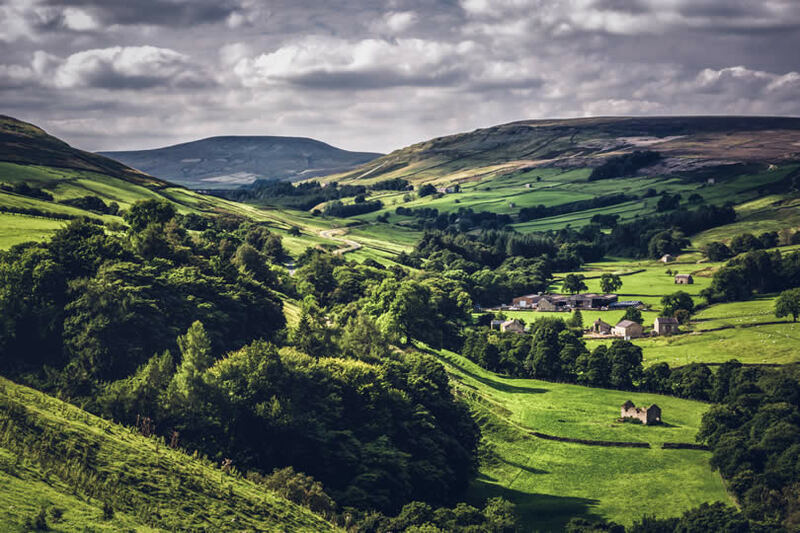 Harrogate is also the gateway to the Yorkshire Dales and within a few minutes drive you can be taking picures op some of the most beautiful scenery in the UK. This gorgeous town has so much to offer with its quaint tearooms, boutique shops and fine dining options. There are some great walks around the town center where you can be treated to beautiful flora and fauna as well as a number of stunning sceneries. Actually, there is everything for everyone in this town, from shoppers and foodies to lovers of art, architecture and nature. Make the most of your time in the town centre by visiting lots of tourist attraction and other activities off the beaten track. Learn about the history of this spa town by visiting the local museums. If you are brave enough, try the local sulphurous spring water to start off your day. Thanks to its beautiful location in the Centre of Yorkshire and its talented artists, there are so many local arts galleries that you may opt to visit. It is a host to different types of world-class exhibitions throughout the year. From wedding and craft fairs to gift and home ware exhibitions, there is something for everyone to explore at these impressive events. Where should you stay when visiting for a holiday ? If there is one thing you will appreciate about this town, it is the cheap b&b accommodation. From holiday lets and serviced apartments to well priced hotels and charming b&bs, there is accommodation to suit your need and budget. Choose from chic boutique hotel and budget brand names that are stylish with state of heart cheap b&b, guest houses and family rooms, which are located within the town. Some of the larger hotels have their own pool, spa and gymnasium to help you unwind after a day in town or business. There are numerous cheap guest houses offering the privacy and relaxation of a small hotel, with the personal service of a modern bed and breakfast. The accommodation is furnished to the highest standards, with excellent facilities including wireless broadband, digital flat screen TVs, direct dial telephones, clock radios, hairdryers and hospitality tray. The guest houses have every detail to transform your treatment into a total beauty experience. If you are a conference visitor in the town, you will appreciate bed and breakfast in these hotels. The town centre hotels may be expensive, but they are worth staying at the heart of the action. Book ahead to get the best available prices. Many rooms have an en suite bathroom. A full breakfast, cooked to order is served in the morning. Find your perfect b&b beside the Harrogate International Centre. It’s a convention and exhibition centre on King’s Road. The HIC is the third largest integrated venue in the UK. Harrogate is a town with many immaculate gardens, and the newly re-furbished Turkish baths, Royal Hall and swimming pool. Find your bed and breakfast : guest houses and bed and breakfasts are situated a short walk from or in the town centre (train and bus station). Many properties are set in Victorian townhouses and offer cooked breakfasts and traditional rooms with free Wi-Fi and free parking on site.